Clique na imagem acima para efetuar o download. Our entry level HamSphere 3.0 is still very popular, in 2017 we have seen about 15000 active call signs on HamSphere 3.0 to compare with HamSphere 4.0 where the number of active call signs were 5000 but on the increase. We have also opened up some contests on HS3.0 and intend to run a few each year. HamSphere introduced the “Elmer” system to HamSphere 3.0 to help and assist all operators on the HamSphere 3.0 system. As HamSphere 3.0 is the entry level platform to HamSphere, some guidence maybe needed for our new users to the system. Our Elmers are available for Q&A, general information about our platform and general assistance if needed. If you are a trial user, subscriber, DX-User or a seasoned operator, the “Elmer” system is in place for all the HamSphere community. 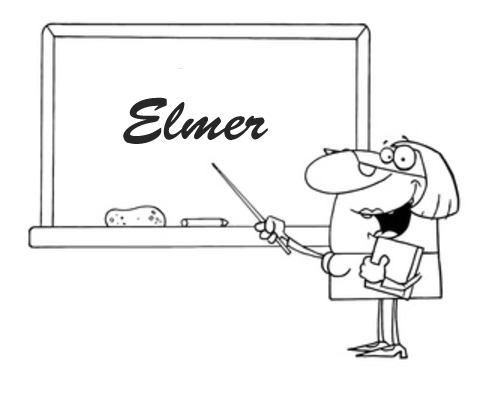 The “Elmers” can be found on HamSphere 3.0 and are identified with an (E) beside there call sign. Moderators are also availiable on the system and are identified with an (M) beside there call sign. The Elmers are there to help new and trial stations to get the most from this great program. With their knowledge of Amateur Radio and their knowledge of this system they have been asked to do this role. They are to be found on HS3 throughout the day and mainly are there to make the experience for new users as pleasurable as possible. They help stations to know what the buttons do and how to find the code of conduct. They also teach users how to log contacts and how to make and send QSL cards. If you hear any of them on the frequency please give them a call they are a friendly bunch of operators. With their knowledge of Amateur Radio they can pass on skills they have learned over their time on “Real Radio”. Lets enjoy this program together de G0MOK Robert. Elmering or mentoring has long been the backbone of Amateur Radio. While technology constantly evolves, the human interaction between hams will not be replaced and will always remain one of the hobby’s strongest traditions. As licensed hams we are all ambassadors of Amateur Radio and we should always be looking at ways in which we can welcome newly licensed hams and project a positive image that will attract others to ham radio. HamSphere 4.0 for Android will be ready for testing soon. We have developed a number of new plugins for the new system such as: VFO, Antenna Selector, BandScope/Waterfall, QSL Module, Rotator, Oscilloscope, etc. Here are some screen captures from the new app. The app is designed in 3 parts; Top, Mid-section and Bottom. The mid-section is swipeable and here is where you install your plug-ins. The Top and Bottom sections always stay fixed with a clear LCD display and a large PTT button. Initially we planned to have this app ready before the end of the year, but we have had some complications with the new Mobile Shop so expect it to be ready Q1, 2017. Testing will commence ASAP. 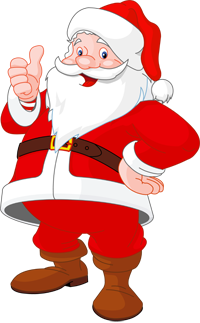 HamSphere is giving you two early Christmas Gifts for your HamSphere 4.0 transceiver. You can download the Purple Alan skin and the new WX Module that presents the local weather with a 10-minute interval both for free. NA LF Contest objective: For HS4 operators around the world to contact other HS4 operators in as many U.S. states, Canadian provinces/territories, and countries as possible thus promoting new US and Canada Awards introduced in HS4. Contest begins: 3 Dec 2016 at 00:00 UTC. Here are the results of the HamSphere “HamSphere International DX Contest 2014″ that was held 2014-02-22 to 2014-02-23. The results are based on a properly filled out logbook and that power limitation were kept. We had a total of 271 participants performing 10347 QSO’s. Congratulations to Graham, ZL3MA who won this contest with the amazing score of 136324. Well done indeed! Graham managed to complete 394 valid QSO’s and 345 multipliers. Patrick, ON7VP managed to log most countries. He logged a total of 40 different ISO2 codes. on HamSphere. Please join in JA-Net and enjoy HamSphere by Japanese. Hope to see you on this time, thank you. DXpedition from Hanoi Hilton (Hao Lo Prison) from the 30th Jan 2014 (46th Ann. TET Offensive) to 3rd Feb 2014. Transmissions will be on 50.120kHz and will be in two blocks per day. UTC 1130hr (on India DX Net freq) and UTC 0100hr (on 50.120). 60HS164 Rob will be your operator. Remember there will NOT be a net controller. Luc will work the pileup……. Special QSL cards will be issued everyday for this event and QSL cards will be sent after the event each day. An alternative freq will be typed in the chat box on the day if the above freq is occupied. If you would be interested in doing a Xpedition to a Lighthouse, Castle or RARE Island near you? You can send a email to Marcin 161HS363 request where you would like to set up a HamSphere Lighthouse Xpedition. See you on frequency! Come and join in on the fun! As you all know, the HamSphere Awards were introduced in May 2012. The reason for these awards were to increase the knowledge in DX activity and to connect more countries with each other. The response to this activity has been huge. The number of QSL cards and confirmed countries have reached larger quantities than anticipated and unfortunately generated some negative effects too. The problem is that the operators see this now as a big ongoing competition which was not really our intention with the DX-Awards. You can have competitions on Ham Radio, yes, but these are usually limited in time. The truth is that we have received complaints from many daily users of HamSphere about this almost hostile environment where everyone screams for a QSL card confirmation after the QSO’s. The art of conversation has been put aside and focus has mainly been on dealing with QSL cards. * We will stop the bonus subscription days included in the Awards as of today (the budget was already reached anyway). * We urge the operators not to get upset if an operator does not want to QSL. It should be a voluntary decision to QSL. * Please do not use the PM system to hunt or stalk users who do not QSL. * Please recognize the art of conversation which is the foundation of all Amateur Radio activity. Finally, it is good that so many operators from such many countries have met and become friends, but please understand that Ham Radio is more than just QSL cards. The art of conversation must come first.